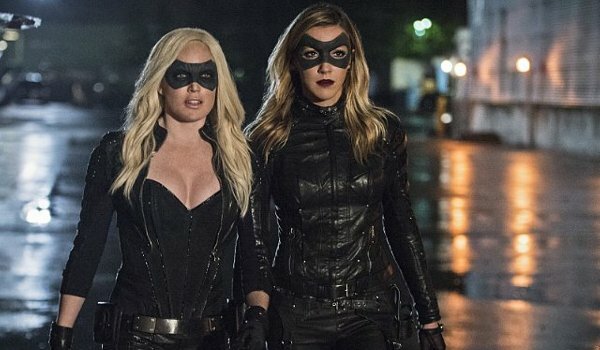 After spending the previous couple of weeks bringing Sara Lance (Caity Lotz) back from the dead, Arrow turns its attention to the return of another supporting character with Felicity's (Emily Bett Rickards) discover that Ray Palmer (Brandon Routh) is alive an in need of help. While the B-story deals with the temporary friction between Oliver (Stephen Amell) and Felicity, not out of jealousy but born of Felicity blaming herself for not discovering the truth sooner, "Lost Souls" also spends a good bit of time focusing on Sara's struggles to readjust to life even after getting her soul back. "Lost Souls" glosses over some important points, such as how Damien Darhk (Neal McDonough) found and captured the miniature Ray while everyone believed the scientist was dead, but by the end of the episode another key member of the cast is back in action (and just in time as another supporting character is shown the door, again). The episode also gives us the return of Charlotte Ross as Donna Smoak in Oliver's misguided attempt to relieve Felicity's stress. We also get a slight tease at a new possible relationship between the elder Smoak and another of the series regulars. In a few other tidbits worthy of note: We get another reference to the still unseen Ted Kord (please give me an Arrow version of Blue Beetle and Booster Gold!) and Oliver's life on the island gets no less complicated when he kills one of the prisoners in self defense. "Lost Souls" is mostly in place to bring back Ray and transition Sara to the upcoming spin-off Legends of Tomorrow. While I like relationship Oliver's handling of Felicity wigging out, the episode was a bit relationship-heavy this week with our villain still mostly in the shadows and no real clues yet as to just what Darhk has planned for Star City.